Do You Want a Green Egg? “Help us help the environment, go paperless” is the pitch you get from your utility company, your bank, your broadband provider and anyone else that sees sending you a paper statement or invoice in the post as a cost to them. We all know that they don’t actually care about the cost to the environment, that’s just marketing spin, we know they need to look good because everyone else is turning green, so they have to too. Which is fine, but they should at least stick to their end of the bargain. When I sign up to be paperless, that’s exactly what I want, they promised not too send me any more paper in the post, but they lied. Of course they kept their end of the deal on one level (but only because it cost them actual money) I no longer get the statements and invoices sent out to me (although I now have the inconvenience of going to them to find them, having to remember yet another username and password, plus they only keep them for a year, what???? so I have to download and store them myself! but that’s another story for another day)… but I still get just as much marketing junk mail from them trying to entice me with new offers and services. Where’s their green credentials now? 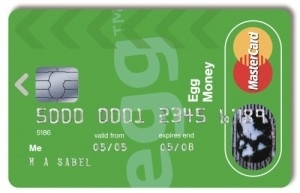 Of all the companies that I have accounts with, I believe only Egg banking had the option to stop ALL post, and sticking to their promise, I’ve not had a single piece of marketing or post from them through my letter box in years, yes I get the odd email, but that’s OK, it’s not everyday, just once a month, if that, plus I can automate it to the junk folder if I wish, so no biggie. Let’s just hope it stays that way, now that they’ve been bought out by Barclays! So in answer to the question, yes I like my eggs green. What’s the Cost of a Bad Brand and What’s a Good One Worth? What’s your brand really worth to you? If you’re Coca Cola it’s a heck of a lot, in the past year alone Brand Finance estimate that Coke lost $9bn in Brand Value! In comparison BP and it’s recent Gulf of Mexico disaster lost $3.4bn in brand value last year, only a third of Coke’s loss? Does anyone recall a major Coke slick last year? So what did Coca Cola do so disastrously wrong last year? Not much actually, it appears to be more down to a shift in consumer interests, moving to more healthy and non-carbonated drinks, ouch! But what does this all mean? To get a bit of perspective, Coke’s BV is now $26bn = 37% of it’s $70bn Market Capital (MC), Nokia’s BV is $9.6bn = 28% of it’s $27bn MC, Google’s $44bn = 30% of it’s $143bn MC… while the likes of Apple, (whom appear to be in the press all the time) have a BV of $29.5bn which is only 12% of it’s $244bn MC, meaning Coke’s Brand Value is worth 3 times as much to it’s share price than Apple! So as you can see, brands are very important, but they can be far more valuable to some companies than others. This was originally written Wednesday 1st December. I’m currently on my way to Heathrow Airport… I received a phone 4hrs ago, I had no idea at the time that it would result in my being in Lisbon this evening. I won’t go into details, suffice to say, a colleague I’ve not seen in ages, has an unexpected problem, caused by the adverse weather conditions across Europe. He needs a solution, he needs it quickly and he doesn’t have the opportunity to deal with it himself… The pressure is on and he needs someone he knows he can trust… so he made the call. I’m not saying I’m the A Team, or that he couldn’t have turned somewhere else, I myself have a select few friends and colleagues I know I can turn to, people I’ve worked with for years , people I trust 100%, with whom I don’t have a split second of hesitation putting forward or trusting my name or reputation… but it’s comforting to know that when his reputation is in the mix and he needs to reach out in a hurry, he knows there’s someone he can turn to. Character is like a tree and reputation like a shadow. The shadow is what we think of it; the tree is the real thing. What branding expert said that? Abraham Lincoln of course?? ?